Hewlett-Packard is venturing into the Android space with a new tablet, hoping to capture the interest of mainstream consumers as the personal computer market shrinks. HP's bid to rejuvenate its flagging business is the Slate 7 -- which is not a premium-grade tablet, nor a remarkably cheap device. Instead, the $169 Slate 7 packs a 7-inch screen, 1024x600 resolution, a 1.6 GHz dual-core processor, and 8 gigabytes of storage. While it's not obnoxiously cumbersome, it is bigger and heavier than many of the notable 7-inch tablets, like Google's Nexus 7. Those specs are fine, but hardly phenomenal by 2013 standards. And the same goes for performance and build quality. It isn't the fastest, or most powerful, or most attractive tablet, but it's powerful enough to do what most people need. And it's not an eyesore by any means. It does have a pretty recent version of Android installed -- 4.1 -- which means it has most of the new features. The Slate 7 is HP's first major tablet release since the failed Touchpad tablet -- a byproduct of its disastrous acquisition of Palm in 2010. 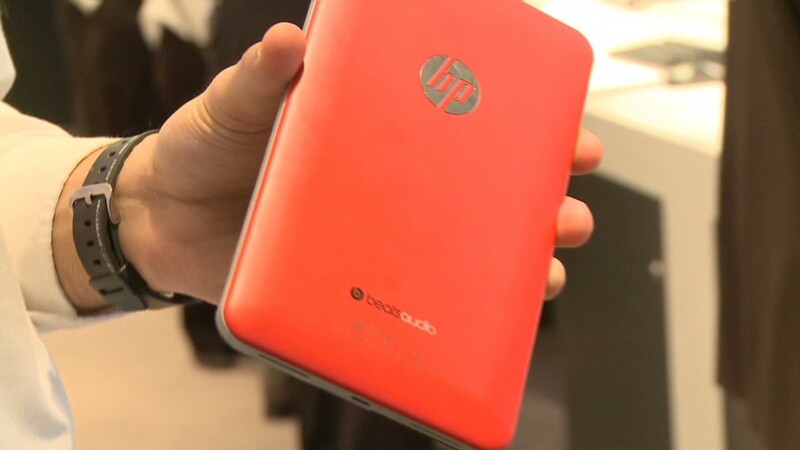 When rumors about a possible HP Android tablet surfaced, public expectations were a bit higher. And rightfully so. But this latest offering is a tad bit perplexing. Going for the entry-level consumer market is a fine strategy in the short term (it has kept HP's computer sales afloat for awhile now). HP will probably need to be more aggressive with pricing. Unlike the computer market, where HP (HPQ) typically offers products that are a few hundred dollars cheaper than the top-rated machines, the Slate 7 is only $30 cheaper than Google's Nexus 7, which is thinner and lighter, more powerful and comes with a better display. The Nexus 7 will also have a slower decline into technological obsolescence. The Slate 7 would be a fine tablet to buy if it were significantly cheaper than any other 7 or 8-inch tablet. But in this case, lower cost likely won't equate to a better value in the long run.